There’s a bit of a discussion about this post on LinkedIn. 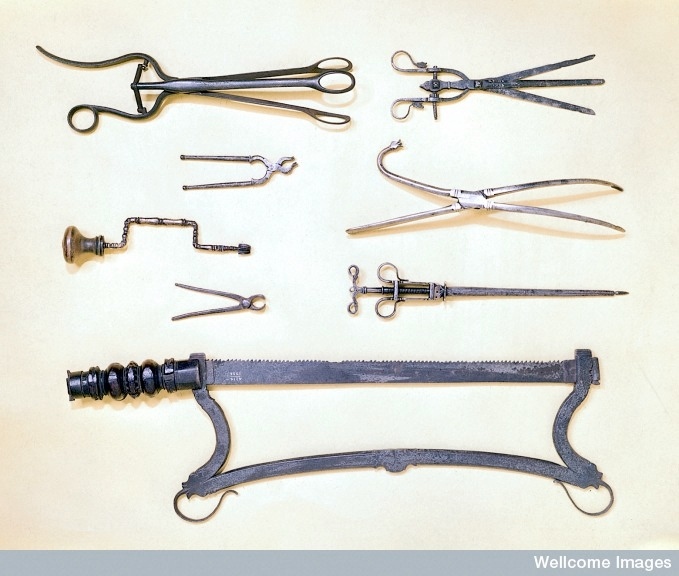 Surgery was always considered the last resort in early modern England. Our reactions to those instruments today are sheltered by our knowledge of anaesthesia and germ theory. A 17thC person, looking at the same collection, would have a much more visceral reaction. Those instruments cause immense pain, they rip open the body in ways it was not meant to be opened, and the chances of dying due to infection were astronomically high. Claire Tomalin has a great description of Pepys’s surgery for the stone that think hammers home the point. First, Pepys waited 5 years, until he was completely bedridden before subjecting himself to surgery. Once he agreed, he found the most successful surgeon he could. A warm compress was placed on the perineum, he was given a mixture of opiates and mandrake, bound, then HELD DOWN in place by 4 strong men. Opiates, mandrake, and warm compresses simply do not help enough to ensure a compliant patient. The surgery itself meant am incision in the perineum, the insertion of a probe up the urethra to hold the stone in place, then forceps were used to pull it out. The wound was then left unstitched to heal by scar formation. 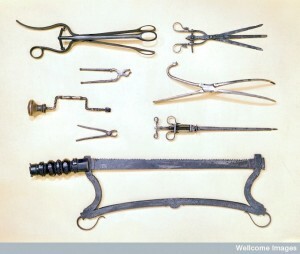 The operation likely left Pepys sterile and his wound continued to re-open until his death. And yet, Pepys’s surgery is one counted as overwhelmingly successful because he lived. That kind of experience is one, I don’t think, we can truly grasp. Thank you for this, Samantha. I knew that Pepys celebrated the anniversary of his surgery for the rest of his life, but I didn’t know the details of his experience under the knife! As you say, one can scarcely grasp the awfulness of it.